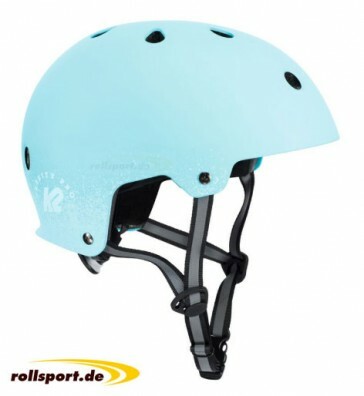 K2 Varsity Pro helmet blue – the inline skate and bike helmet offers protection for your head while inline skating or cycling. The new K2 Varsity Pro helmet was made with extra lightweight material and thus brings significantly less weight on the scales than a traditional skate and cycling helmet. Thanks to the new micro-adjustable fit system, the Varsity helmet offers reliable protection and is also colored in yellow combined with each garment. This helmet has an ideal combination of fit, function and style.